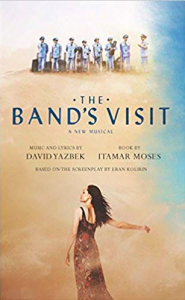 Itamar Moses is the Tony Award-winning author of the full-length plays The Band’s Visit, Outrage, Bach At Leipzig, Celebrity Row, The Four of Us, Yellowjackets, Back Back Back, and Completeness, and various short plays and one-acts. 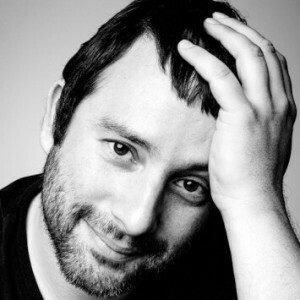 His work has appeared Off-Broadway and elsewhere in New York, at regional theatres across the country and in Canada, and has been published by Faber & Faber, Heinemann Press, Playscripts Inc., Samuel French, Inc., and Vintage. He is a member of the Dramatists Guild, MCC Playwrights Coalition, Naked Angels Mag 7, and is a New York Theatre Workshop Usual Suspect. He is presently adapting Jonathan Lethem’s The Fortress Of Solitude. On October 16, he will be speaking at House of SpeakEasy’s Seriously Entertaining show, Forget Me Not, alongside Laura Spinney, Gregory Pardlo, and Joel Rose. We spoke to Itamar ahead of the show. My earliest memories of reading are probably reading children’s books during free time at school. And reading in bed for as long as I was allowed before having to turn off the light. I was a big reader as a kid. My earliest memories of writing are probably stories I had to write in school — which I always liked. Creative work never felt like “work” to me, back then. Career-wise, I would say learn to treat rejection as neutral and anything short of rejection as enormous encouragement. Be persistent. And put the work first. Artistically I would say cultivate hobbies, things you do for no purpose, only because they stimulate you in some way — don’t try to make everything you do and see immediately “useful” to your work because, paradoxically, this has the effect of choking off the channels of creativity. It’s actually in my experience usually a good idea not to meet your heroes. But the living writer I’ve not met who I most wish I could is probably David Mitchell. Dead ones: too many to name. At the moment, two memoirs. A memoir about how terrible Hollywood is called Can’t You Get Along With Anyone? by Allan Weisbecker. And I finally got around to starting My Struggle by Karl Ove Knausgard which, spoiler alert, is good so far. I don’t really do this anymore as much as I used to when I was young. Maybe because by now I’ve based so many characters on aspects of myself that the need is siphoned off. I think we’re all increasingly sure that we already do, right? Though this isn’t the one I would choose.